The Aleza Lake Research Forest office will be closed between Christmas and New Years. Our offices are open again on Monday, January 4th. The staff at the ALRFS want to extend our best wishes for the holiday season. Enjoy the magic of Christmas and travel safe for those of you going out of town. If you are looking for a little extra something special as a Christmas gift you may want to check out John Revel’s book , “Devil’s Club, Black Flies, and Snowshoes” A history of the Aleza Lake Forest Experiment Station from the 1940’s forward. It is available locally at Books & Company. Merry Christmas and see you all in 2010. Congratulations to Roy Rea, wildlife biologist and senior lab instructor at UNBC, who recently published a photo on the cover of the August, 2009 issue of The American Biology Teacher! 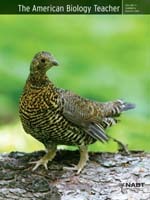 The grouse in the photo was one that Roy found during his research wanderings at Aleza Lake Research Forest. 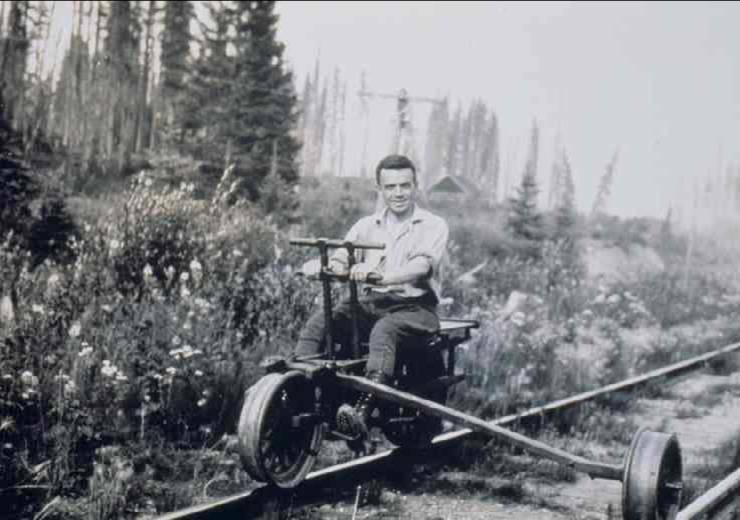 Percy Barr on a velocipede near Aleza Lake, BC. I wrote this article for the UBC Branchlines Alumni Newsletter, December 2006 issue, and it is published here with permission. It tells the story of one of the individuals who played a pivotal role in establishing the former Aleza Lake Experiment Station and is a great example of how this research facility was a launching point for many distinguished careers in the “early days” of BC forestry. Find out more about ALRF history here. If you have memories of the Aleza Lake Experiment Station, or you know some one who does, please share them with us by posting a comment on this article! !